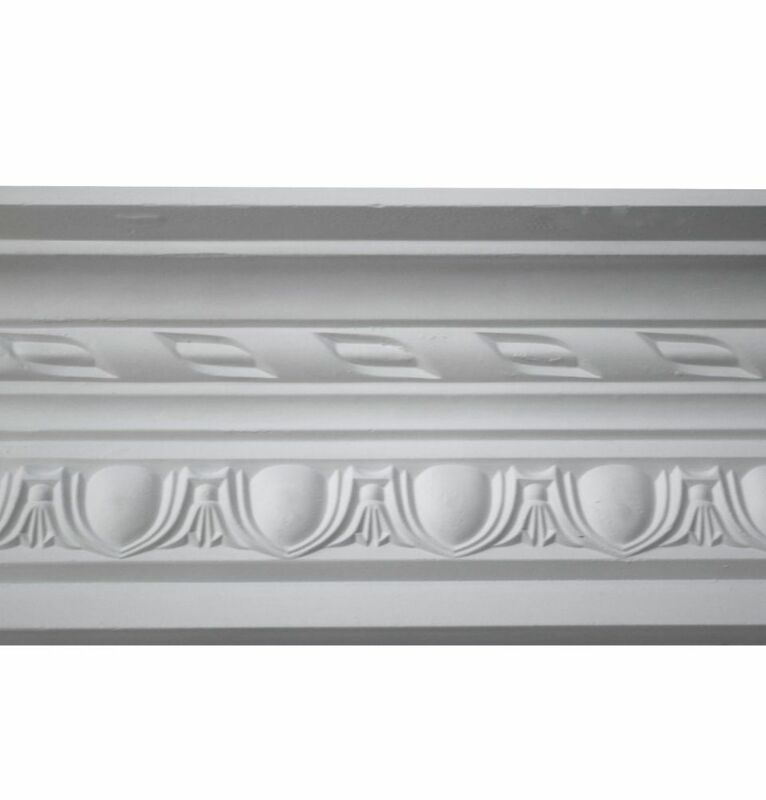 The Large Roped Egg and Dart plaster coving is a classic period design featuring a delicately cast egg and dart frieze complimenting a roped surround. 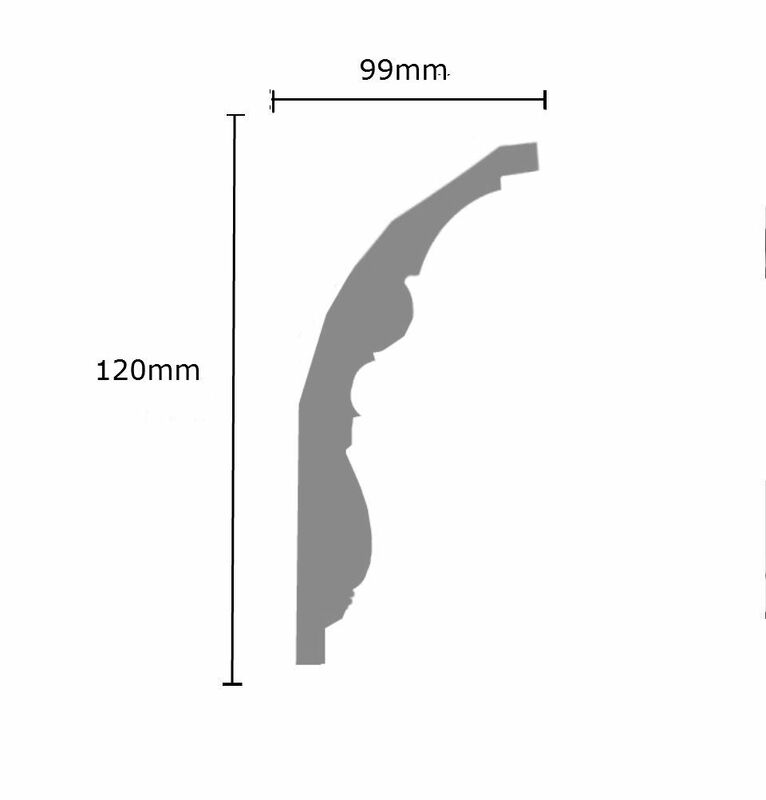 This coving has a projection of 99mm (3.89 inches) and a drop of 120mm (4.72 inches). 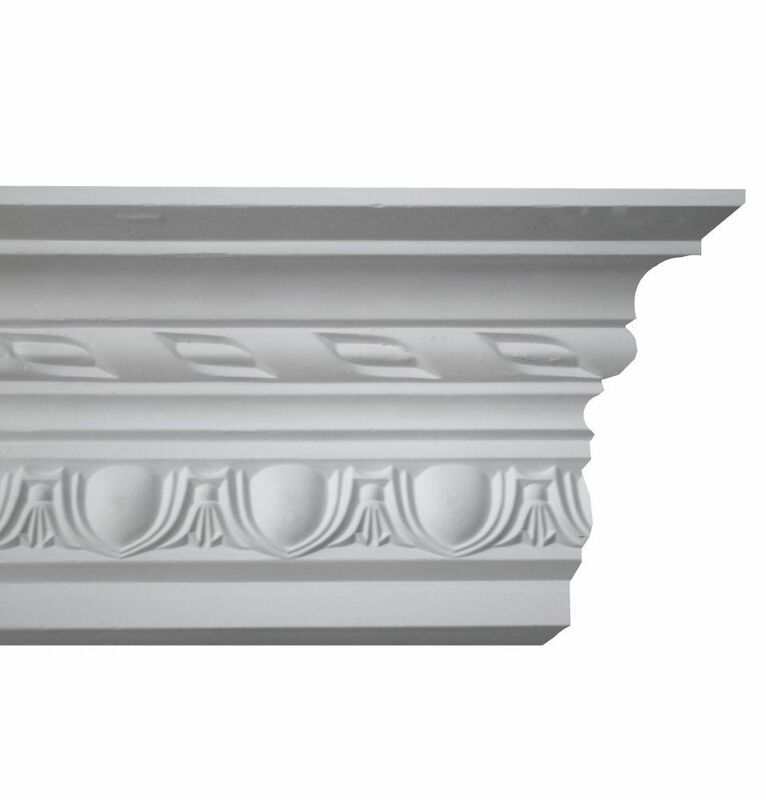 The Large Roped Egg and Dart Plaster Coving is hand made using real Gypsum plaster. We use specialist couriers to deliver Plaster Coving, therefore we have a minimum order of 20 metres. Plaster is sold Metres. Select the unit of measurement before you add these items to your basket. Samples are £2.50.